Please select a size. 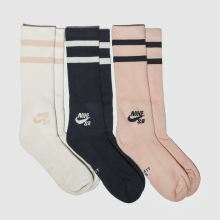 8-11 - Low Stock Please select a size. 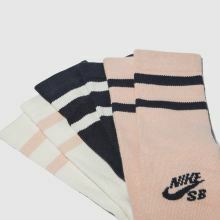 Bringing a bit of pastel influence to your look this season, Nike SB deliver this 3-pack Crew Skateboarding Socks. 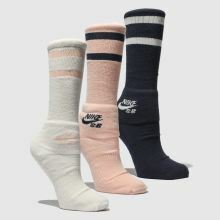 Soft and comfortable, the fabric socks arrive in pale pink, navy and off-white with sports-style ankle stripes and classic branding.